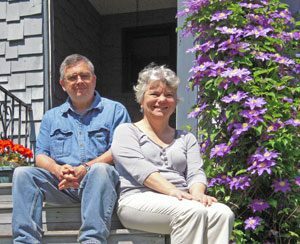 Sandra Condry chose Carol to sell the farmhouse she has lived in and loved since 1969, and she is glad she did. Thank you for everything. The closing went very smoothly–amazingly smoothly. You do your job so very well, from start to finish. We will enjoy the champagne. Knowing that Carol had sold the home of an old friend, Mrs. Codd contacted Carol to list her home…and was glad she did! Selling my home with Carol’s help went quickly and smoothly. She is detail- oriented, helpful and really knows her home market. She was always available to answer questions and assist in any way. 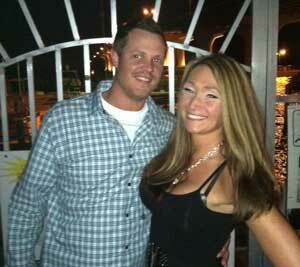 She guided me all along the way, including letting in the meter reader after the closing. I would highly recommend her as your Realtor. 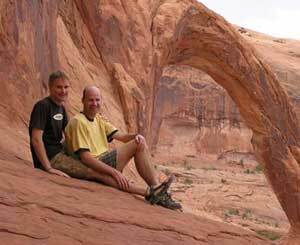 Lynne and I both loved our respective homes, but were excited to consolidate into one household after being married. Wedding plans were daunting enough, but the prospect of selling two homes in a “down” market, then buying a third to share, was truly overwhelming. No one but Carol could have made it any easier. She instantly understood what we loved about our old homes, and conveyed those feelings readily to buyers. Each property sold in less than a month! And the new home that Carol found for us could not suit us any better in terms of features, style and location. 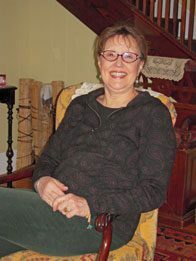 We recommend no one other than Carol Bushberg to anyone who’s buying or selling in the greater-Ithaca area. She knows the market; knows people; and knows the ropes! Thank you Carol! 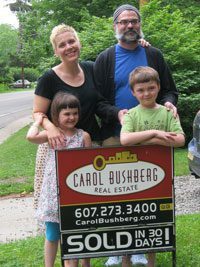 Selling a house in Ithaca, NY from Dallas, TX could have been a nightmare, but Carol Bushberg made all the difference in making a difficult time easier for us. When my Gram passed away and it came time to sell her home, Carol was our first call. Showing us neighborhood comparisons, helping us identify what needed to be done and then finding local resources for the jobs, Carol was with us all the way. We couldn’t have done this with just any Realtor – it takes someone with heart, dedication and drive, and that describes Carol Bushberg Real Estate. After following her recommendations for preparing the house, we put it on the market and received 3 offers in the first 3 days – unbelievable! Now our Gram’s house is home to a wonderful family who would love it as much as she always did. Thank you Carol, for your business savvy and for being so caring with us in our time of loss. 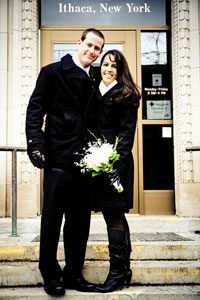 Derek and Katie Sherman followed the advice of relatives who had worked with Carol, and were glad they did! Carol was highly recommended by my brother and sister-in-law who praised her work ethic and her passion for making purchasing a home a positive and stress free experience. 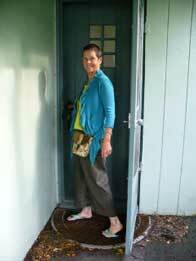 As we began to tour potential homes, her experience and attention to detail were well documented. She would point out many subtleties, however important, that would never have crossed our minds when purchasing a home. Carol kept us focused, kept us informed with up-to-the-minute news and updates, and most importantly, acted as a mediator between all parties involved. There is no doubt in our minds that Carol will be our real estate agent for any future endeavors. 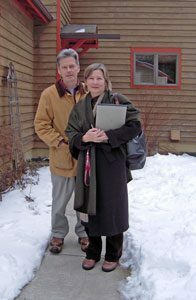 We turned to Carol in the late winter of 2010 to sell our large, beautiful Victorian farm house. In spite of its beauty, which still took our breath away, it was not an easy house to sell in the middle of a housing recession – very large, odd layout, miles from town. Carol helped us to stage it so buyers could see an easy path to a more sensible layout and price it so that it created buzz. Carol’s unique marketing, that stands out from all the rest of the real estate “clutter,” got the ball rolling. After getting zero offers when we tried to sell in 2009 we had three competing buyers within less than a month and closed on the best one a few weeks later. 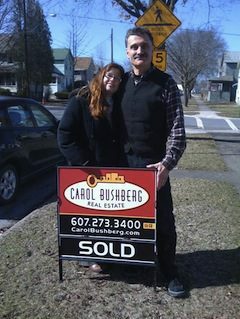 I met Carol Bushberg 8 years ago, after our daughter, Annette, bought her first house in Ithaca, NY. At that time, Carol showed us some apartments and condominiums in the area. Our meeting was very friendly. On March 1, 2011, my husband Leon and I moved from Ossining, NY to Ithaca, NY. This time we knew we were staying for good in this town. After a few months, we decided to buy our condominium. 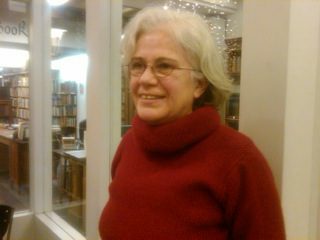 The person we turned to was Carol Bushberg; a person who had impressed us the first time we met. She is someone very trustworthy, patient and friendly. Carol never loses her patience with her client. She listens, gives advice, but never is pushy. She lets her clients decide on their own what they want to buy. Now we live in a beautiful, very comfortable condominium, which we like a lot. I am an out of town client, living five hours from my second home in Trumansburg. I asked Carol to help me as I could not attend to everything in preparing my house for the market. 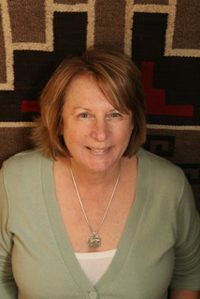 Carol Bushberg is a complete Realtor. She went far out of her way to suggest and cover renovation issues for me. Carol arranged for the house to be cleaned, hired the plumber,and went to the house each time I needed her to, even though she lives 25 minutes away. This is not just a testimonial, but an accolade to such a hard working, straight shooting professional. Oh, and did I mention that she sold my house, in this low-expectation market, in nine days? Well, she did! Happy client of Carol Bushberg. Matt and Lona were joining their two households and needed space for Lona’s custom baking business, LonaCakes. Carol was able to help them address all their criteria, even as they were planning their wedding. 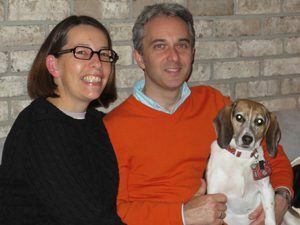 Kasia and Eric Maroney are glad to have followed Carol Bushberg’s “Sound Advice” through the rapid sale of their former home and purchase of their new one. 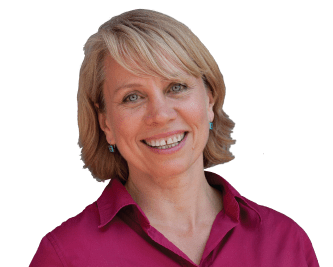 “My business was outgrowing my house, so my husband and I invited Carol to share the complex challenge of relocating my workplace as well as our family’s home. We were blown away by the power of her experience, and she quickly gained our trust with her knowledge and honesty. Carol works harder than anyone I know. She educated us quickly, and gave us important selling advice we didn’t even know we needed. Then when we were ready to list, she sold our house in two days! In order to save us time, she had also spent time pre-shopping new homes for us, bearing in mind our unique specifications. 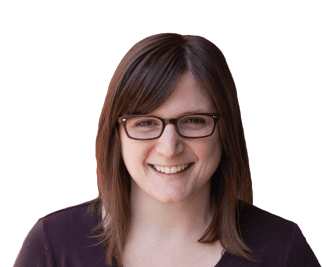 We felt the full weight of her indomitable professional support behind us during every step of both our sale and purchase — but with her sense of humor and easy nature, she somehow also managed to lighten the process and keep us laughing. Six weeks after we listed our house for sale, we were sitting in our new home, with living space that made more sense for our family, and with plenty of room for a major expansion of my business. Our entire family is delighted. 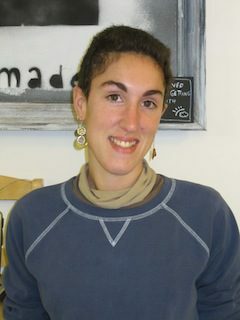 -Kasia Maroney, delighted to have her family and Boston Restoration settled into their great new home in Trumansburg. Brie Johnson, a first time buyer, was committed to making a good investment when she purchased her first home. 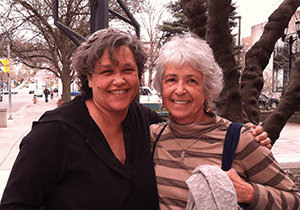 Carol has helped multiple generations of Brie’s family to purchase property. Brie Johnson, now settled in her first home. 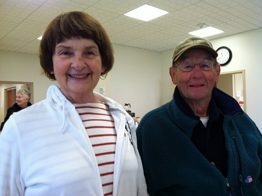 Stephen and Sue worked with Carol from a long distance on the purchase and the sale of their Ithaca property. 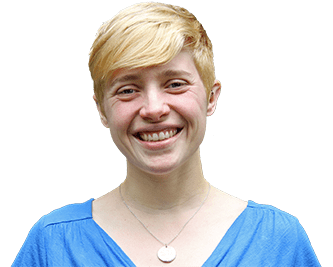 My wife and I are in a unique position to comment on the abilities of Carol Bushberg as a Realtor since she helped us both purchase and sell our Ithaca home as our buyer’s agent and then as our listing agent. We enthusiastically write this letter of endorsement for her. It was a pleasure to purchase and sell our Ithaca home with Carol’s help. As a buyer she helped us find and tour houses that met our needs in the price range that was appropriate for our budget. When it came time to sell our home she helped us market the house successfully in a timely fashion. Carol made the experience hassle free during both the purchase and selling processes. 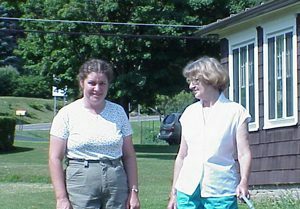 Her knowledge of Ithaca and her connections in town including; attorneys, structural engineers, heating installation experts, surveyors and radon gas technicians were extraordinarily helpful. She always gave us good advice for each home we toured. Afterwards she gave us a balanced recommendation and comparison for all of the properties. She explained the purchase process clearly and helped us easily navigate through the paper work. I was impressed with the speed in which we closed on the house. It went so quickly on closing day that I thought there must be something else we missed, but there wasn’t. What was more important to me and my wife was her genuine caring attitude, professionalism and friendship. My wife and I joke that we should buy another home in Ithaca sometime so we could work with Carol again. We miss you Carol. Dr. Tracy McLellan was glad to have Carol in her corner when she was making a complex international move. 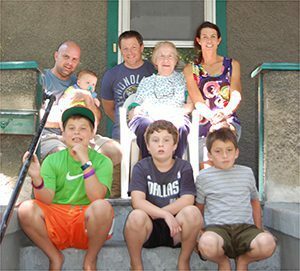 The McFalls were ready to subdivide their property and found Carol’s experience and accessibility beneficial. 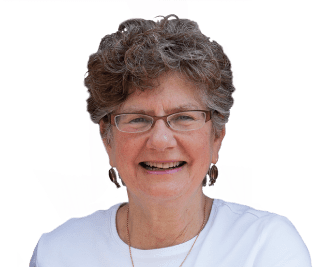 “When we decided to sell a portion of our property in the Town of Danby, we chose Carol Bushberg Real Estate based on Carol’s many years of experience and her reputation for being successful in the real estate business. In our first meeting with Carol she provided information on other properties on the market which were similar to ours; we discussed current market conditions, as well as ways to market our property. All of this information enabled us to reach a price which led to a successful sale. Bob and Olympia McFall, retired in Danby and enjoying their views. Leigh was nervous about making just the right choice, and appreciated Carol’s gentle guidance. Leigh Keeley, pleased to be sitting in her own home. 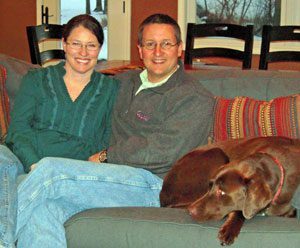 The Shelleys sold their Ellis Hollow home in order to purchase land to build their dream home. Carol helped make both transactions smooth and effortless. Greg and Stacy Shelley relax in their new country home outside Trumansburg. Barb Johnson, Flower Essence Practitioner, Flower Abundance, Inc.
Lyn Pohl and Jim McGarry took their time finding the right house, and appreciated the depth of service they received from Carol Bushberg Real Estate. 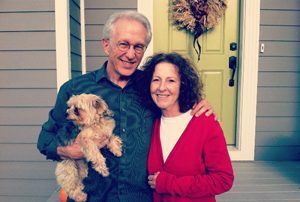 Anne and Jim Morrissette listed their long-time home with Carol Bushberg Real Estate. Carol walked them through this potentially daunting process. 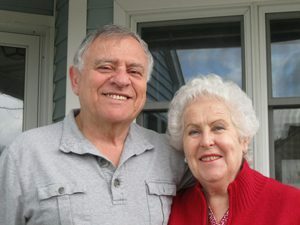 Anne and Jim Morrissette, formerly of 1058 Coddington Road, Ithaca, NY, sold July 2009, now living closer to their grandkids in Gordonsville, VA.
Everett Boutillet, a mortgage loan officer with Alternatives Federal Credit Union and his partner, Louis Johnson, a graphic designer, worked with Carol Bushberg Real Estate to sell their property in Spencer, NY. They are now happily living “off the grid” in Danby, NY. Everett Boutillet and Louis Johnson, former owners of 51 Academy St. Spencer, NY.